If an elephant never forgets, then maybe it’s time for the Republican Party to get a new mascot. Particularly after Ken Cuccinelli’s downplaying of pro-life issues utterly failed to make him Virginia’s next governor, you’d think the GOP would learn that ignoring subjects their foes want them to ignore is a losing strategy. Alas, it appears these elephants never remember. The least loved institution in America today is the U.S. Senate, and one of the reasons it is reviled is a zero-sum approach to women’s medical care. It’s time we changed that and adopt modern policies that make sense instead of using women’s medical issues as an election-year power play. One of the most rational ways for Washington to break this gridlock is to approve oral contraception for over-the-counter purchases by adults. Since January 2011, an obscure provision of Obamacare has blocked insurers from covering OTC medicine without a prescription. If Democrats are serious about making oral contraception affordable and accessible, we can reverse that technical provision. Driving the price down for a safe medicine is a better way to provide access to adults who want it than President Obama’s insurance mandate. Many women don’t have access today in spite of the Obamacare mandate, and it violates religious liberty in the process. If a new generation of senators puts partisanship aside, we can protect the liberties of women to have easy access to affordable oral contraception at the same time we protect the rights of those with conscience objections. You may recall our discussing this idea in 2012 when Louisiana GOP Governor (and likely presidential candidate) Bobby Jindal proposed it. Like Gardner, Jindal pushed this as a common-sense way to de-politicize birth control. But it was wishful thinking then, and it’s no more viable today. But attempting to punt on all contraception comes at a great cost: the lives snuffed out by those drugs that function as abortifacients. The earliest days of pregnancy may be the most politically scary ground for a politician to stand firm on, because that’s when people seem the least human to the uninformed, and because pro-aborts have done so much to sow ignorance about whether there’s even an embryo there to be destroyed prior to implantation. But if you’re truly pro-life and sincerely believe these are victims in desperate need of protection, then how can you justify giving that misinformation campaign your tacit endorsement? As a matter of policy, pro-aborts’ thorough bastardization of the word “access” proves that fewer legal obstacles to purchasing birth control won’t appease them. Only unconditional surrender on unfettered abortion, taxpayer-subsidized birth control, and forced private coverage of both will satisfy them. Sure, pharmacists would no longer have to worry about prescribing contraception, but all that means is that the Abortionquisition would refocus its wrath on those who choose not to stock it. Since then, pro-aborts’ scorched-earth approach to abortion-on-demand has only intensified. They’re so enraged by pregnancy centers that exist to provide more choices than abortion that they’ve pushed legislation to silence them. They’ve tried to criminalize the act of telling the truth about their political candidates. They’ve openly argued that medical practitioners don’t even have the right not to participate in abortion. And just this week, we saw the Supreme Court strike down Massachusetts’s 35-foot buffer zone around abortion clinics, yet the fact that not even one of the pro-choice activist Justices could devise an excuse to dissent hasn’t fazed these people. Where a halfway self-aware pro-choicer would have taken the “unanimous” part as a wake-up call, Planned Parenthood Federation of America president Cecile Richards instead deployed the usual bluster about “this decision show[ing] a troubling level of disregard for American women.” Yes, tell us more about how Ruth Bader Ginsburg, Elena Kagan, and Sonia Sotomayor sold out to the patriarchy. These are the hallmarks not of a movement that strongly disagrees with us, but of one that can’t stand having to share a country with us—and that has no qualms about using the law to do something about it. 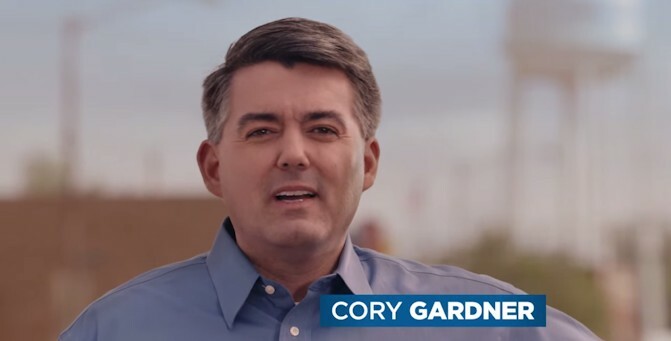 If he really wants to be a senator, Congressman Gardner should think long and hard about whether this bunch is likely to appreciate olive branches.